Pastor Binoy Joseph, recorded live at Grace Community Bible Church, on the topic of “God of All Compassion” – from Jonah 4:1-11. Pastor Binoy Joseph, recorded live at Grace Community Bible Church, on the topic of “Understanding Christ Centred Ministry” (Part 2) – from Colossians 1:26-29 from the series A Christ Centred Church. Pastor Binoy Joseph, recorded live at Grace Community Bible Church, on the topic of “Understanding Christ Centred Ministry” – from Colossians 1:24-25 from the series A Christ Centred Church. 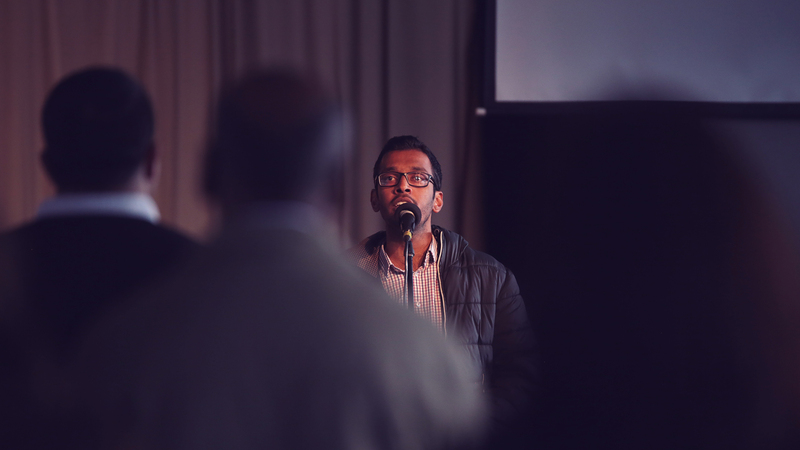 Pastor Binoy Joseph, recorded live at Grace Community Bible Church, on the topic of “You have been Reconciled to God!” – from Colossians 1:21-23 from the series A Christ Centred Church. Pastor Binoy Joseph, recorded live at Grace Community Bible Church, on the topic of “Behold Jesus, Lord of New Creation” – from Colossians 1:18-20 from the series A Christ Centred Church. Pastor Binoy Joseph, recorded live at Grace Community Bible Church, on the topic of “Behold Jesus, Lord of All Creation” – from Colossians 1:15-17 from the series A Christ Centred Church. Pastor Binoy Joseph, recorded live at Grace Community Bible Church, on the topic of “How to Pray for the Church” – from Colossians 1:9-14 from the series A Christ Centred Church. Pastor Binoy Joseph, recorded live at Grace Community Bible Church, on the topic of “Thank God for the Church” – from Colossians 1:3-8 from the series A Christ Centred Church. Pastor Binoy Joseph, recorded live at Grace Community Bible Church, on the topic of “Dear Church” – from Colossians 1:1-2 from the series A Christ Centred Church. Pastor Binoy Joseph, recorded live at Grace Community Bible Church, on the topic of “Walk by Faith and Not by Sight” – from Genesis 22:1-19.